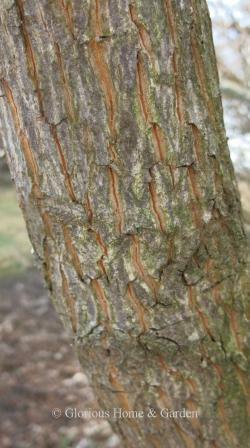 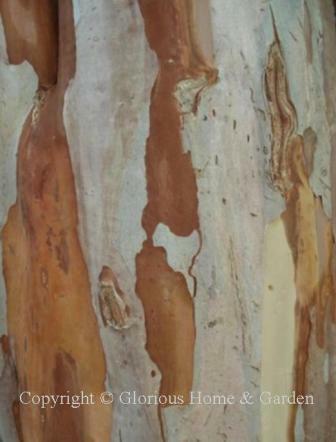 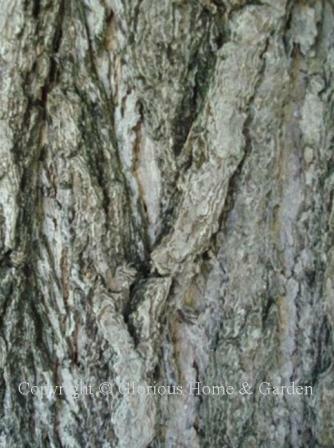 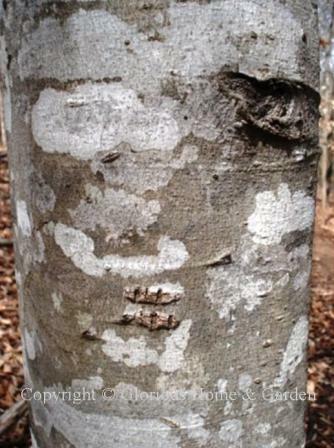 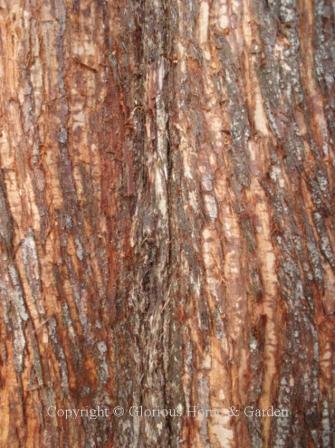 The list of trees with interesting bark continues for interest in the winter garden. 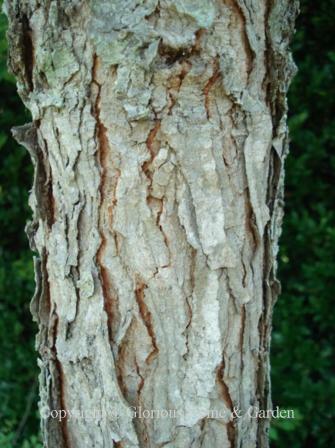 Lagerstroemia indica, crape myrtle—gray bark peels in long strips revealing smooth, mottled underbark. 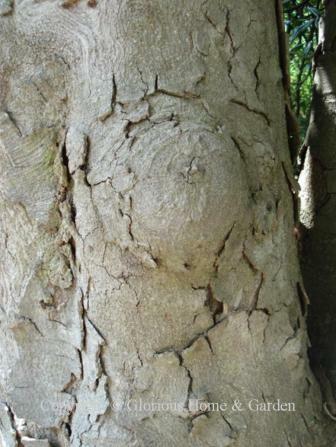 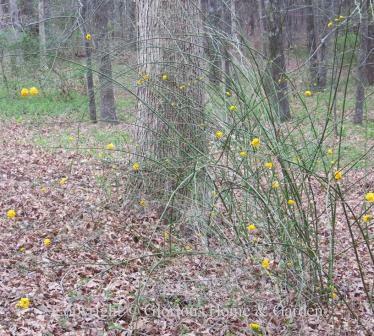 'Natchez' shown below.